Scholastic Summer Reading Challenge. This year’s Happy Camper: Take a Reading Adventure invites students to join a free online program designed to motivate and excite your children around reading books this summer. There are special books to unlock and rewards to earn as you bank your minutes. The Summer Challenge is an easy and fun way for kids to log the minutes they spend reading as they earn rewards. You can also organize your local school group to read together to see how much your school reads together. Summer Reading – Barnes & Noble. The Barnes & Noble Summer Reading Program for 1st through 6th graders is here to help encouraging you to read books of your own choosing and earn a FREE book, simply by following these three easy steps: 1. Read 8 books and record them in your Reading Journal. 2. Bring your completed journal to a Barnes & Noble store between May 17th and September 5th, 2017. 3. Choose your FREE reading adventure from the book list featured on the back of the journal. 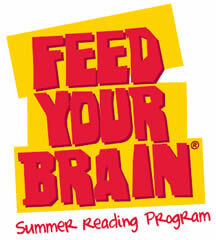 Books-A-Million is sponsoring a Summer Reading Challenge. They are giving away a free Maze Runner water bottle to students who read 4 books from their selected book list. You must complete and turn in a signed reading journal in person at their bookstore. H.E.B. Grocery Stores is sponsoring the H.E. Buddy Reading Program. Students need to read 10 books and record it on their reading log to earn a free T-Shirt. Entries must be postmarked by October 1, 2017. Once you’ve read 300 minutes, turn in your completed reading log to earn your $5 HPB Bookworm Bucks reading reward for the month. This is only good for June and July 2017 only. Bookworm bucks expire September 1st. Reward Your Kid With Rewards Calendars How about earning free tokens on their next visit to Chuck E. Cheese’s? Print out a free rewards calendar to get started. Mark the days off with a pen or sticker as your child accomplishes their goals. Bring in the completed calendars to your local Chuck E. Cheese’s and receive 10 free tokens as a reward. You can do this as many times as you like before 12/31/17, but only one chart may be redeemed per child per day. Sync is offering a summer audio reading program just for teens. Students 13+ get two free audio books per week all summer long. For those that know me in real life, I am an Asian American woman. I want to add my voice to what is happening because as Asian American voices are often too silent. I want to cut through the hyperbole and the media slant on what is happening out there. I want to say there has been a very real uptick in racially charged incidents/interactions being experienced by people I do know who have personally sharing their personal pain and hurt. Incidents where they have been told to take their chink selves back to China, to go back to where you came from, we don’t want you here, to be made fun of by racist comments, and in one case actually being egged. There’s an Asian American church with swastikas and the word “die” carved on their doors. These incidents are real. They have happened. Now, many of these incidents are committed by children and teens which is disturbing because they are only repeating what is going on behind closed doors. There are some by adults like the egging. If anyone thinks I am talking about these things happening in flyover country, I’m sorry to burst your bubble, the incidents happened here in the Bay Area, in San Diego, in LA, and in Seattle. I won’t say that this is a new thing either. I will recount a couple of incidents that happened in last couple of years. My son’s friend (Chinese) was told by another boy that I don’t like Chinese people because they are awful. Another of my son’s friends (Chinese/black) while standing next to my son was told by another boy that black people smell bad, and black people are bad. My son didn’t quite understand and was weeping because all he understood is that his friend was made to feel bad. These two boys went through a long period of time where they hated who they were because they got the message that somehow being Chinese or being black was bad. Think that this couldn’t possibly happen in Christian circles? Sorry to say that the first incident happened at a Christian home school group here in San Diego. The second incident happened at my own church. And there were no apologies by these families either. I believe anyone who thinks that we live in a post-racial society just because we elected Obama is sadly mistaken. I actually may be in the minority among minorities about this, but I actually vastly prefer that these overt acts of racist behavior are happening because it shows what really lies beneath. It creates a place to have a discussion. There are opportunities for white people especially white Christians to speak up, intervene, listen and choose to do something. To me, I think that living in a bubble thinking that racism must not be there because these things don’t happen anymore is just not true. Thinking that racist attitudes and behaviors aren’t there because there haven’t been overt incidents in the past is false as well because the covert attitudes have always been there. No, I don’t believe that the vast majority of white people are racist. I do believe that a lot of white people don’t realize how common these experiences are. I also don’t think the vast majority of white people realize that for a person of color, you live this every day. I also don’t think that there are enough Christians and conservatives calling it out and naming it. I am also naming another truth to my minority friends that minorities can also be racist against other minorities and yes, against white people. This happens all the time, but somehow minorities get a free pass on this all the time. However, in our politically and racially charged environment, only people of color are permitted to call other people of color to account. When I was growing up in California, I have been pelted with dirt and rocks because I look Japanese on Pearl Harbor Day. I have been subject to “ching-chong Chinaman” type chants. I have had many use their fingers to pull down their eyelids to make squinty eyes at me. I actually have been hit and physically attacked in junior high. I have had other students flat out angry and pissed off at me when I won scholarships and awards. I lost friends (but were they really my friend?) who felt I got too many because I was Chinese, and it just wasn’t fair…that somehow I stole what was rightly theirs to have. I’ve been told to go home to where I came from even though my family has been here for 5 generations. My great great grandfather worked on the railroads. My great grandfather fought in WWII for the United States. I have had to live through being insulted and judged over and over because of the color of my skin. It happens. It’s my story. It’s my reality. It’s my life. I am just speaking the truth to whoever has ears to listen. I recognize that I am raising my son in a world that is imperfect and flawed, but I do always have hope because the power of God can change the hearts of man. Sin and brokenness is part of humanity. Forgiveness is part of being a Christian. Justice for the powerless is also part of being a Christian. God can redeem anything. God can transform what is broken into wholeness. I believe that to my core. I also believe that if you are not part of the solution that you are part of the problem. So, choose today what you will do. Choose to engage. Choose to talk to your children. Choose to help your children to choose to speak out against injustice. They see more than you think that they do. Above all, pray. ETA: I am greatly encouraged by this call to prayer by my former home church. It’s been awhile. Our summer has been PACKED with activities. I’m looking forward to the fall when things slow down, and we are back into our homeschooling rhythm and routine. I saw this fabulous deal today…seriously DO NOT miss out on this freebie deal. Duck Duck Moose made all their apps free today. I simply love their learning apps for kids. They develop wonderfully interactive and engaging apps. I haven’t ventured over to check out their offerings in a while since we are well past early learning apps. Some of our all time faves: Old MacDonald, Wheels on the Bus, Fish School, Moose Math, Park Math and Word Wagon….plus a lot of others. I am excited to get out Pet Bingo, Chatterpix and Wizard School which are targeted towards older elementary kids. Built on Next Generation Science Standards, the WeDo 2.0 Curriculum Pack aids second through fourth grade educators in delivering key science content. These apps are currently free, but I don’t know how long they will last. The Tiggly apps are aimed at early learning skills. The ones I linked are best for ages 3 to 6. They introduce spelling, phonemic awareness and vocabulary. Tiggly has designed these apps to interact with Tiggly toys, but you can play using the touch screen option. There are other Tiggly apps that are also free like Tiggly Chef, Tiggly Safari, Tiggly Draw, Tiggley Addventure, Tiggly Cardtoons and Tiggly Stamp which focus of early math skills. Bamba is another maker of early learning apps which are aimed at a slightly younger age range at 2 and up. The one I linked is aimed more at preschoolers while their other pretend play apps like Bamba Burger, Bamba Ice Cream, Bamba Pizza and Bamba Post Office are fun for younger kids. Toca Hair Salon is just fun playful app for ages 3 to 6. Toca Boca develops some of the best apps on the market for this age group. They should be scooped up when they are free. These are must have apps. Younger kids can also play with Toca Boca apps as tapping and swiping will always do something on the screen. Swiggles is a decent app for very young kids in the toddler age range. It will flip through the silly monster faces with a peekaboo effect with one type of app motion like swiping, tapping, and shaking. The second one names the colors as the faces rotate through. It’s fine for a free app, but I wouldn’t actually pay money for this one. Other app makers that I like for the younger set (ages 2 to 5) which may or may not be free right now are Tizzy, Wonderkind (makes the uber fun Seek and Find and Tiny apps), Fairlady Media, Gazilli, Dr. Panda, Duck Duck Goose, Tropisounds (wooden puzzles), Wombi puzzle, Tribal Nova, Little Bit Studio (math), Build A Word by @Reks, Playsmart-Kids, Bugsy, Klicktock (hidden pictures), Innovative Mobile, Fisher Price, Lego Duplo, Lakeshore Learning Materials, Tappi Bear (just for fun) apps. Older kids also still love to play these apps as well though they may not want to admit it. There are plenty more out there that I didn’t list on here. Fun app for toddlers and preschoolers to play with fireworks. This app is normally $1.99. Design your own displays and tap to make them explode across a starry night sky. Recommended for toddlers and pre-K. Older kids may still enjoy this, but this game play is very simple which makes it perfect for the younger set.